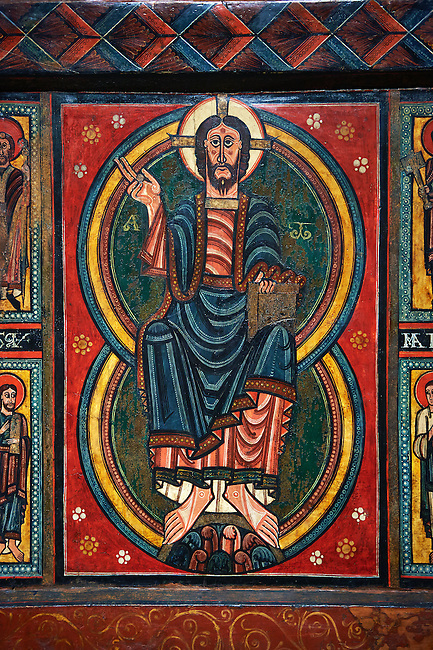 Painted wooden panel of the Altar of d'Ix showing Christ Patocrator. From the Church of Sanit Matin d'Ix, La Guinguetta d'Ix, Alta Cerdanya, Spain. National Art Museum of Catalonia, Barcelona 1958. Ref: MNAC 15802.